Keto chia pudding is a creamy, rich pudding that I usually make overnight to have it ready for breakfast. 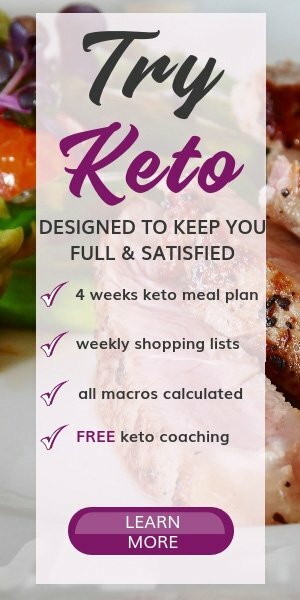 What is Keto Chia Seed pudding? 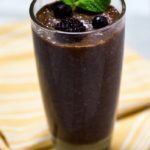 Chia Seed Pudding is a delicious and healthy keto breakfast or dessert that has many health benefits. I usually make this super simple recipe with any unsweetened dairy-free milk, chia seeds, high-quality cocoa powder and vanilla extract. You can add keto approved sweeteners, but sometimes I prefer to enjoy it plain, so I can taste the rich chocolate and subtle vanilla flavor. The Aztec warriors and Mayans used chia seeds as a sustainable source of energy and endurance. In fact, chia is the Mayan word for “strength”. These tiny seeds pack many key nutrients that contribute to a better health. Almost all the carbohydrates in chia seeds are fiber which makes them a perfect food in the ketogenic diet. Fiber is not digested in the body and doesn’t impact the blood sugar. How many carbs are in the keto chia pudding? Using my recipe you’ll get a huge breakfast serving that has only 2g net carbs. This recipe is a staple for me, I make it at least 3 times a week. It keeps me full for hours and helps with digestion due to the high fiber content. The coconut milk gives a creamy texture and helps the chia seeds gel. Feel free to use any dairy-free unsweetened milk like almond milk, cashew milk or walnut milk. Chia seeds can absorb up to 9 times their weight in liquid. For this recipe, I used 1:4 ratio, meaning 1/4 cup chia seeds to 1 cup liquids. I think that this way you will get the right pudding consistency, not to thick and not too liquid. For the toppings, you can simply sprinkle some cinnamon or add a few berries. This recipe can be used for those who are vegan and do a ketogenic diet, paleo diet or are intolerant to dairy. It provides healthy fats, low in carbohydrates and has high-quality protein. If you try this recipe, please let me know in the comments below or take a picture and tag it #LowCarbSpark on Instagram. 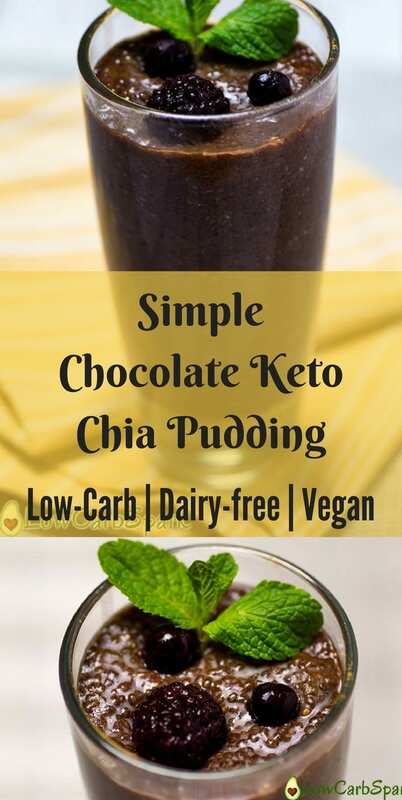 Chocolate Keto Chia Seed Pudding is a low carb meal or dessert that is creamy and delicious. Enjoy it on the ketogenic diet because it is nutrient dense and high in fiber. Mix all the ingredients in a glass or a jar. Place it in the refrigerator and let it sit for at least 4 hours. Stir the chia pudding a few times after to help it get evenly. If the Chia Pudding is too thick, whisk in 1-2 tablespoons coconut milk. It can be refrigerated for up to 3 days. 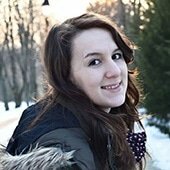 Can I use almond milk instead of coconut mI’ll? You can definitely use unsweetened almond milk to make the keto chia seed pudding. Will ground chia seeds work the same in this. I have tried making a pudding from them at least 2 if not 3 times and it never set up. Maybe I need more seeds when they are ground. I have no clue. Never tried making chia pudding with ground chia seeds, but I guess you should add more until you get the consistency you desire. Loved this recipe. It will be a breakfast staple for me. I am super happy you liked the recipe. Chia seeds are super healthy! Can I make this with fat free milk instead of a nut milk? I'd love to try to make this, but wont if it doesn't work well! If you are not on a ketogenic diet you can use any milk you want. On keto, we focus on eating the foods high in fat. 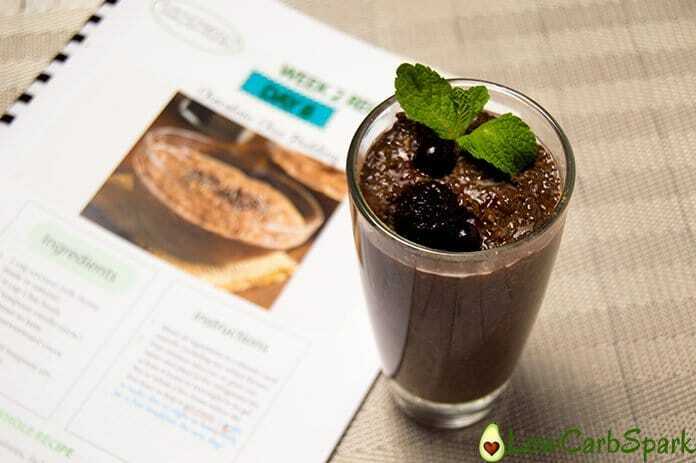 The chia pudding can be made with water too because it absorbs well liquids. Canned coconut milk or coconut milk drink? I had the same question. Canned coconut milk and coconut milk drink found with the almond milk in the store are both liquid Which do you use? You need to use liquid milk. Both almond milk and coconut milk will work well. Using the canned ones will yield a creamier and dense chia pudding. Yes, sure you can. The macros will be different in the end. You can count the whole chia seed pudding recipe as a serving, but it is very filling. I usually end up eating half for breakfast and eat the rest of it as a snack later if I feel hungry. The keto chia pudding has only one gram net carbs for a huge serving and it's loaded with health benefits. This is very tasty! Thanks for sharing. I do have a question about the nutritional information. In your post you say: Using my recipe you’ll get a huge breakfast serving that has only 2g net carbs. Just wondering which one is accurate? I updated the macros for the chia pudding. In the recipe card, the recipe was counted as a single serving. I’m not clear on what you’re saying… In the text of the article you talk about water with the Chia seeds… But it’s not mentioned in the recipe. At the moment I only have full fat canned coconut milk on hand. Do you think it would work to use 1/2 cup with 1/2 cup of water so there’s more liquid? Yes. That’s totally fine. It will make the chia seeds even creamier! You can use warm water to dissolve the coconut milk easier. Worked great, love this recipe, it’s a keeper!